MEXICO CITY, Nov 29 2014 (IPS) - Although it is one of the victims of global warming, water will not be given a place of importance at the COP20 climate change conference to be held Dec. 1-12 in Lima, Peru. Climate change already threatens water supplies for agriculture due to the reduction in the availability of fresh water, which is expected to be aggravated over the next decades. It also causes drought, torrential rainfall, flooding and a rise in the sea level, which together affect the global water situation. Dabbagh, who will attend the 20th Conference of the Parties (COP20) to the United Nations Framework Convention on Climate Change (UNFCCC), was referring to the inclusion of water in discussions of the Sustainable Development Goals – which will build upon the Millennium Development Goals for the post-2015 development agenda – and the U.N. inter-agency coordination mechanism for all freshwater and sanitation related issues, U.N. Water. The schedule for the conference only includes four panels that refer to water: “Water holds the key for mitigation, adaptation and for building resilience: towards a climate deal”, “Africa & Caribbean South-South knowledge exchange on Water Security & Climate Resilient Development”, “A new Security Agenda: safeguarding water, food, energy and health security in a changing climate”, and “Mountains and water – from understanding to action”. Water is also mentioned, in passing, in the preparatory documents drawn up by civil society, whose parallel meeting, the People’s Forum, will take place Dec. 8-11 in the Peruvian capital. The synthesis report of Grupo Perú COP 20, an umbrella that groups a wide variety of social organisations, does not refer to water, although the group does mention it in its position on adaptation to climate change, which along with mitigation and loss and damage are the three pillars of the talks in Lima. The organisations are demanding guaranteed access to water and food security in a context of climate change through concrete actions based on financing, capacity-building, technology transfer, energy efficiency and knowledge management. For its part, the People’s Summit agenda has eight main themes including global warming and climate change, energy and low-carbon development, and sustainable territorial governance. This last point covers the preservation of ecosystems, sustainable management of nature and harmonious coexistence with people, as well as protection and administration of water. 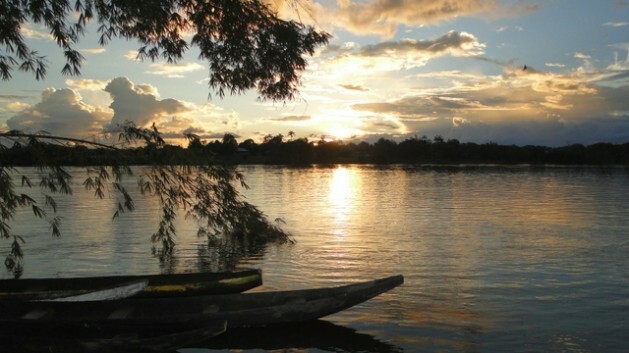 “Water insecurity is a threat,” said Alberto Palombo, secretary of the executive committee of the Inter-American Water Resources Network (IWRN). “That’s why we have to talk about intelligent integrated management of water resources. The existing problem isn’t one of physical scarcity but of adequate management. Availability is affected by climate change,” the representative of IWRN, which groups governments, social organisations, companies and academics, told Tierramérica. Latin America has 30 percent of the world’s water resources, but that doesn’t mean it is free of problems, such as unequal distribution of water. According to the IWRN, three of the region’s biggest watersheds account for less than 10 percent of the available water, due to overuse: the Valley of Mexico, where the capital is located; the South Pacific, which includes Peru, Ecuador, Chile and Argentina; and the Río de la Plata, including Argentina and Uruguay. U.N. Water reports that Mexico has 3,822 cubic metres per year of water available per person, while it has consumed 17 percent of its freshwater reserves, which makes it one of the most critical cases in Latin America. The rest of the region is doing much better, the U.N. agency says. The figures for Guatemala are 8,480 and 2.6 percent; Brazil 43,528 and 0.86 percent; and Argentina 21,325 and 4.3 percent, respectively. Chile and Peru have abundant water, with 52,854 and 63,159 cubic metres per year per person, respectively. They also have relatively low proportions of freshwater exhaustion: just under four percent in Chile and under one percent in Peru. The World Health Organisation estimates that 20 litres per capita per day should be assured to cover basic needs. But parts of Argentina, Brazil, Chile, Colombia, Cuba, Ecuador, Mexico, Peru and Venezuela suffer from unsustainable water use and are exposed to water stress. 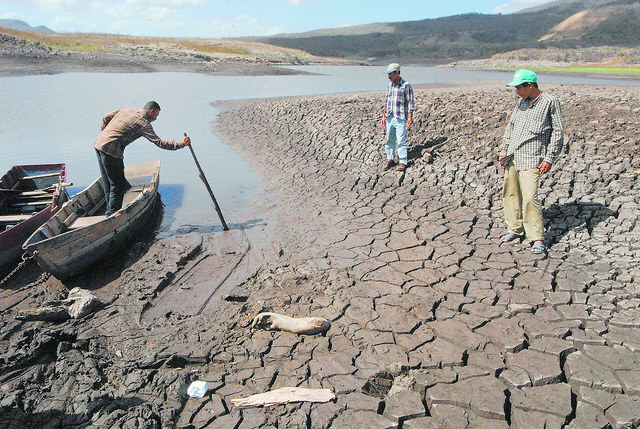 The report “Water and climate change adaptation in the Americas” by the Regional Policy Dialog (RPD) on Water and Climate Change Adaptation in the Americas says a growing number of people in the region live in areas with medium to high pressure on water resources. That includes people who have less than 1,000 cubic metres per capita of water, who will total between 34 and 93 million by 2020 and between 101 and 200 million by 2050. “Water suffers some of the major impacts of climate change. That is why we want to link the climate agenda with that of human rights,” because they overlap, said Dabbagh. In March, the states parties to the UNFCCC are to present their national mitigation plans, which should take into account water treatment. “We need to guarantee resources for prevention and adaptation, apply innovative financial mechanisms, improve management mechanisms, build green infrastructure, and restore and preserve watersheds,” Palombo suggested. If the current trends in recovery and consumption aren’t turned around, Mexico City will no longer be able to guarantee water supplies by 2031, Bogotá will reach that point in 2033, Santiago in 2043 and Rio de Janeiro in 2050, according to IWRN estimates. Activists say it will be necessary to wait for another major conference for water to be granted the importance it has in climate change and sustainable development. That will be the seventh World Water Forum, which under the theme “Water for our future” will bring together governments, companies, non-governmental organisations and academics in the South Korean cities of Daegu and Gyeongbuk Apr. 12-15, 2015.